In an important order, issued on November 12, 2013, Gujarat’s chief information commissioner (CIC) D Rajagopalan has asked the public information officer (PIO) of the Gujarat High Court and the appellate authority (AA), registrar, Gujarat High Court, to provide information regarding the number of leaves given to the court’s judges, as sought by an applicant. 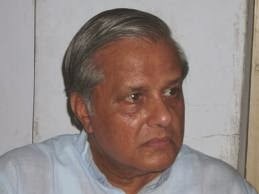 A senior social activist, Indukumar Jani, had sought information regarding judges’ leaves in 2010, arguing that people coming from far off areas, especially the tribal belt, often find it that there was no hearing on the appointed date, as the judge hearing the case had gone on leave or were on some other administrative job. Jani was denied information citing Gujarat High Court rules for the right to information (RTI) Act, saying that anything that is not in public domain was exempted from granting information under the RTI. 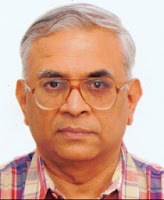 Rjecting the argument, in his ruling, Rajagopalan said, the officials of the High Court cannot act under their own RTI rules, which contradict the RTI Act. The rules of any organization are meant to the procedure to provide information works in well-oiled fashion. They cannot override provisions of the RTI Act. The CIC’s order said, in case there is a difference between the rules worked out by an organization and the RTI Act, the RTI Act should be considered final. It added, if at all the officials of the Gujarat High Court wish to deny information regarding leaves granted to the court judges, it should be done under Section 8 of the RTI Act. Under Section 8, the public authority can deny information in case the information sought affects the sovereignty and integrity of the country, or leads to incitement of offense, or is breach of privilege of a legislative body, or is a commercial confidence. In April 2010, Jani, who is editor of “Naya Marg” is one of the senior-most Gandhian activists, annoyed by frequent absence of judges at the time of hearing of cases related with poor tribal workers coming from farflung areas, filed an application before the PIO, asking for (1) whether the High Court judges are allowed leaves, (2) the rules under which judges are allowed leaves, and (3) how many leaves are allowed to the judges. He also sought the exact information of the number of days for which the judges had actually gone on leave or were absent for hearing. The PIO replied to Jani’s request on December 29, 2010, or nearly six months later, saying that the judges are allowed 14 days of “casual absence” under a resolution passed by a conference of judges, under the chief justice of India, held in December 1987. On January 27, 2011, a dissatisfied Jani went in for appeal, wanting to know the reasons under which the judges are allowed leave, as people came from farflung areas, as far as 200 km away, only to find on board that the judge was not there for hearing. On May 5, 2011, Jani was sent a copy of the resolution. Jani was denied information on March 3, 2012, citing High Court rules, which prompted him – with the help of Mahiti Adhikar Gujarat Pahel (MAGP), the state’s premier RTI NGO – to go to make a complaint to the Gujarat’s chief information commissioner (CIC), saying he should be given information, as it is of public interest, and the judges have their constitutional duty to hear a case if there is no unbecoming incident.